Arthur with his parents murdered, grows up in the back alleys of the city having been robbed from his birthright as the rightful heir to the throne. But when the moment comes to pull the sword from the stone he has to accept his true purpose and live up to his legacy. 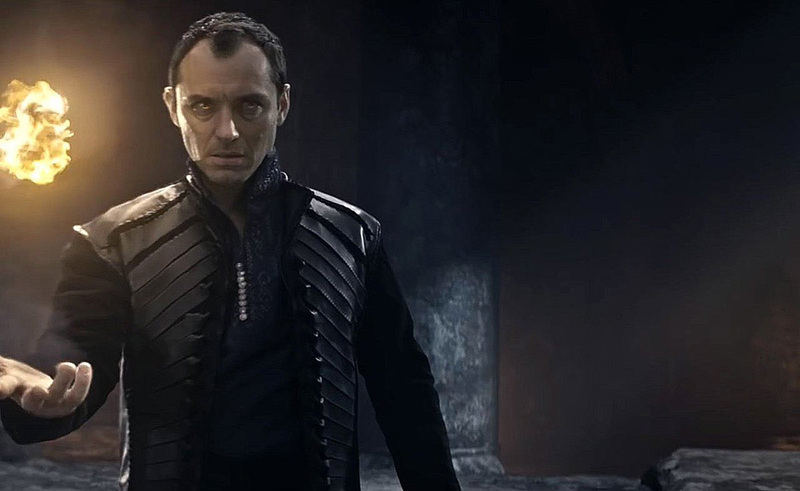 In the Dark Ages, King Uther Pendragon leads his armies against the evil mage Mordred. Uther with his mighty sword enters Mordred’s stronghold and kills him ending his reign of terror. 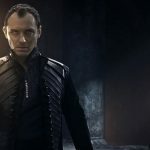 Soon afterwards Uther’s brother Vortigern leads a coup against his brother and takes control of the kingdom by killing Uther and his wife and only young Arthur manages to escape. Arthur ends up in Londinium where he is raised in a brothel. As he grows up he always find himself in trouble and pick fights with other children that try to harass him. As an adult Arthur got into an altercation with the Vikings that were protected by the King and therefore he had to pay for his crime. He finds himself in front of the sword and as he pulls it out of the stone he is being captured by Vortigern’s men. After he is sentenced to death a Mage with the assistance of other men help Arthur escape and take him to their hideout where they push him to learn to control the power of the sword that could help them turn the tide of the war against King Vortigern. With the help of the Mage he travels to the Blacklands where he learns how to control the sword and learns about his father’s sacrifice. This makes him decide to kill his Uncle by setting up a trap for him that fails in the end. When they return to their hideout they find out everyone dead and Blue and the Mage taken hostage. When Arthur decides to surrender, the Mage summons a giant snake that kills many of Vortigern’s men making the rebels start the fight with the Blacklegs. Vortigern turns into a demonic form that fights Arthur in a different realm. 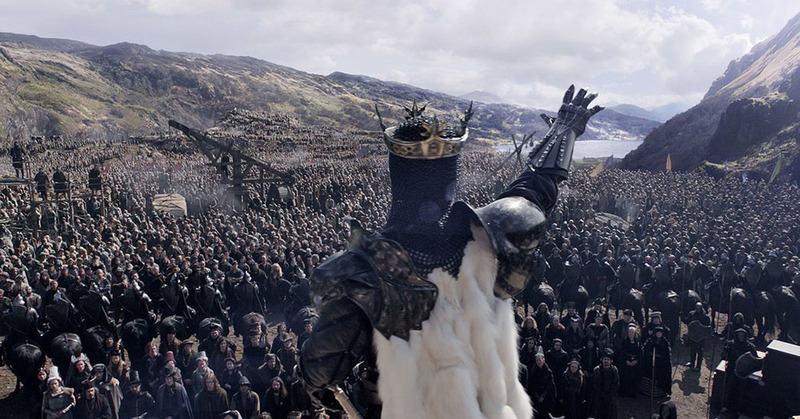 After a climatic battle Arthur kills Vortigern and takes his place as the new King holding Excalibur in the air. Over the years we have seen many different irritations of King Arthur and the Knights of the round table. Some of them aimed for a more realistic and historic portrayal of the legend while others tried to give a more supernatural flavor to that era. One of the last movies was Antoine Fuqua’s King Arthur that came out in 2004 and tried to give a historic explanation to the character and the events that happened in that period of time. Some of you may agree that it was a good try while others may have disliked it completely. 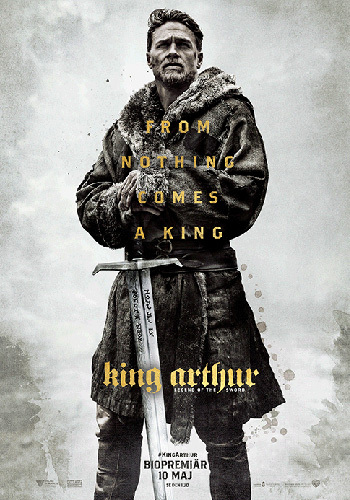 This brought us to 2017 and Guy Ritchie’s King Arthur: Legend of the Sword which went completely the opposite way in how they portrayed the character of Arthur and the events until he became a King. Realism and historic facts are thrown completely out of the window and what we get here is giant snakes the size of a bus, Lord of the Rings sized elephants reigning havoc on the enemy, monsters, mages controlling animals and demonic figures in alternate realities that throw us in a completely magical world and one he had never got used to see this character in. There were other movies that gave a supernatural flavor but not in such an extent like the movie we got now. At least for me this was a pleasant surprise as I could not stand to see another movie claiming historic accuracy when in reality there is none. 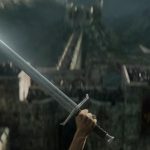 At least King Arthur: Legend of the Sword knows what it is and it is not trying to hide it but on the contrary from the beginning it throws everything at you giving you a pretty good idea what to expect. 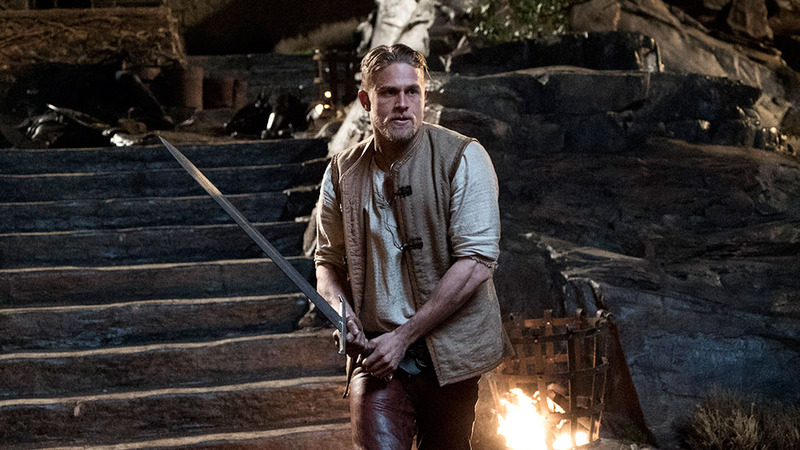 Charlie Hunnam and Jude Law give very good performances as Arthur and King Vortigern. Arthur on one side knows who he is but avoids his legacy and on the other side his uncle that will stop at nothing to stay the King. As the movie progresses we see the transformation of Arthur from an unknown guy that all he likes to do is find himself in trouble to a character that a whole Kingdom will put it’s hope on to be liberated from a tyrant. 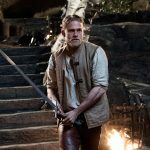 Of course in all the mayhem the movie offers, to give a character the time to develop like this until the end feels a bit of a luxury but nevertheless they tried not to offer just action and special effects but also something that could offer closure and completion to the character of Arthur. It may have not been the best execution possible but at least I applaud them for trying. The rest of the cast is all good without anything spectacular. They fill their roles adequate to support the two main characters without any of them giving anything more. Technically the film is great. Special effects are very good although the CGI are very obvious in every single scene. The design of the monsters like the giant snake, the wolves in Blacklands, the gigantic elephants in the opening battle and the demon in the climatic duel are very well thought and they give a different flavor to the world of Arthur. Action is good and well choreographed. Action scenes are spread well throughout the movie although there are a few parts that dragged a bit and felt unnecessary. Accordingly the sound design felt adequate for a film like this with the sound effects accompanying the picture well. During the battle scenes the sound field was full and each individual speaker was working overtime while during the more calm scenes ambient sounds and effects were clear and distinguishable. In general it may not be reference material but a very worthy sound track that will keep you entertained. 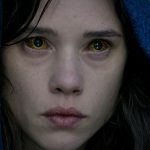 King Arthur: Legend of the Sword is a very special movie in a way you will either love it or hate it. It really bombed during the box office and although I was not expecting it to be a blockbuster movie it surprised me that it fared so bad as it is not such a bad movie. I liked that the movie is honest in what it is and is not trying to hide itself. It’s not trying to depict a realistic Arthur or the era and the events of his time but in the contrary it tries to offer something different than what we had seem time and time again for this character and it would feel like a repetition to try and do something similar. If in all this you add the adequate acting, special effects and action scenes you get a movie that may not wow you but certainly will entertain you if you know what to expect and you are open to accept the difference that it offers. Recommended for anyone that wants to enjoy a good action movie. Thanks for the review, I don’t think I ever would’ve watched this movie if I didn’t read your review but I’m interested now. Glad I didn’t read the plot, thanks for the spoiler warning 🙂 I’ll have to check it out! Thanks Kes. I hope you find my other reviews interesting also. Check back soon for more.